The Front Page 4 Widget Area displays a testimonial rotator. You can create this under your Testimonials Menu in your dashboard. 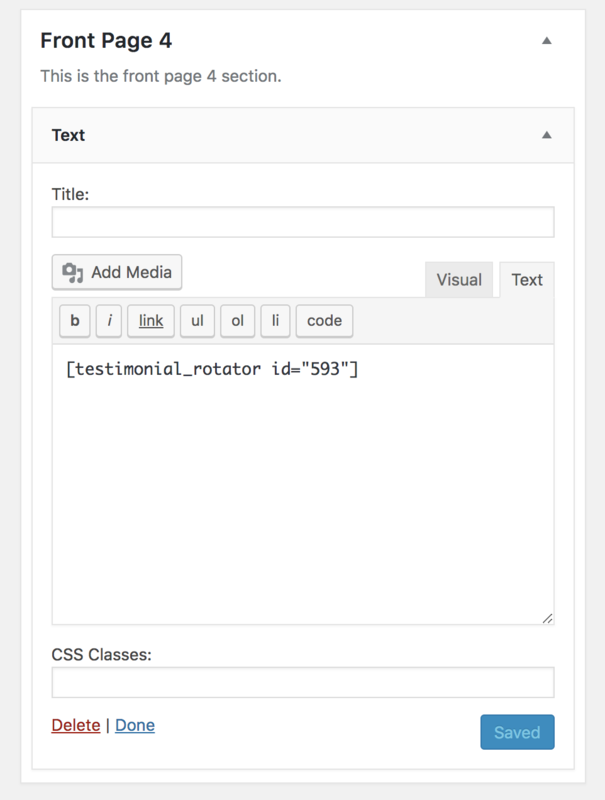 First you'll create a "Rotator", then you'll add a few testimonials and assign them to that rotator. If you do not see that menu, you likely have not installed this plugin. You can find it here. Once you've created your testimonial rotator, click on "All Rotators" underneath your Testimonials Menu. Next, navigate back to Appearance > Widgets and drag a text widget into Front Page 4 Widget Area, then paste that shortcode into the "text" tab of the text widget.